It is a dream of everybody to have a house to call their own. But it is not easy to have a house, because even if a low-cost housing nowadays is still expensive especially for minimum wage workers. But it is not impossible for a family to have a house. Just keep on dreaming, working and be inspired with these photos of small house designs perfect for small families. 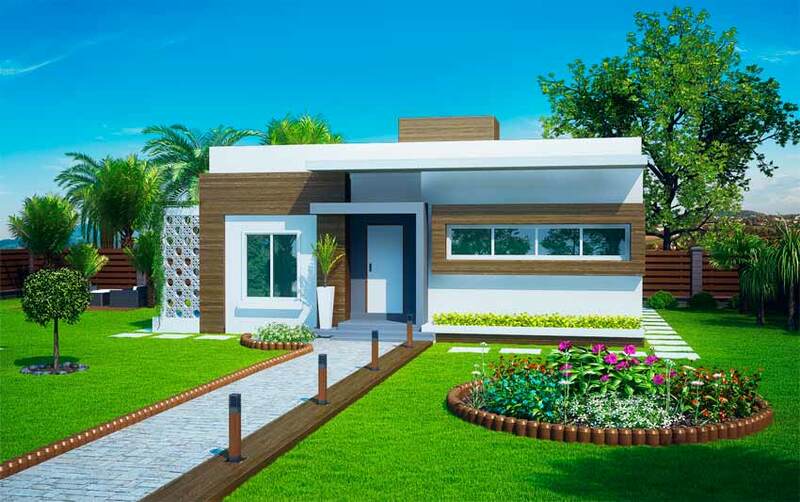 The following are small house plans from plantasdecasas.com. 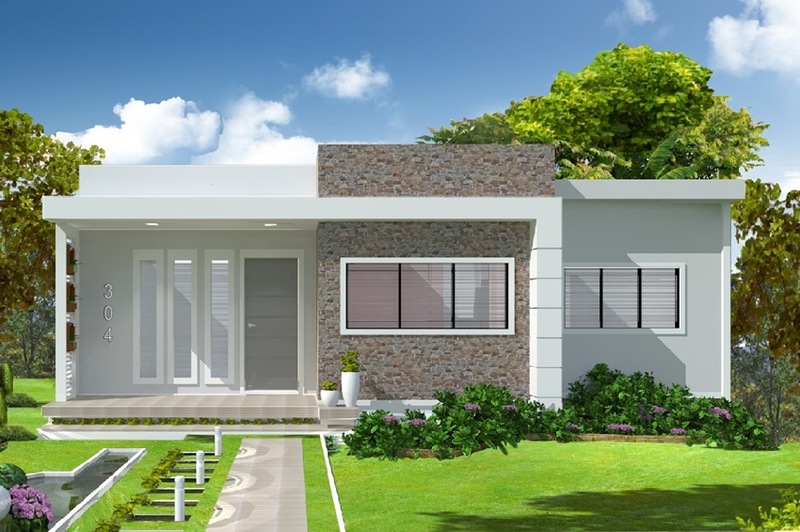 This is a small house plan designed for a narrow lot with minimum dimensions of 7.5 meters by 25 meters. 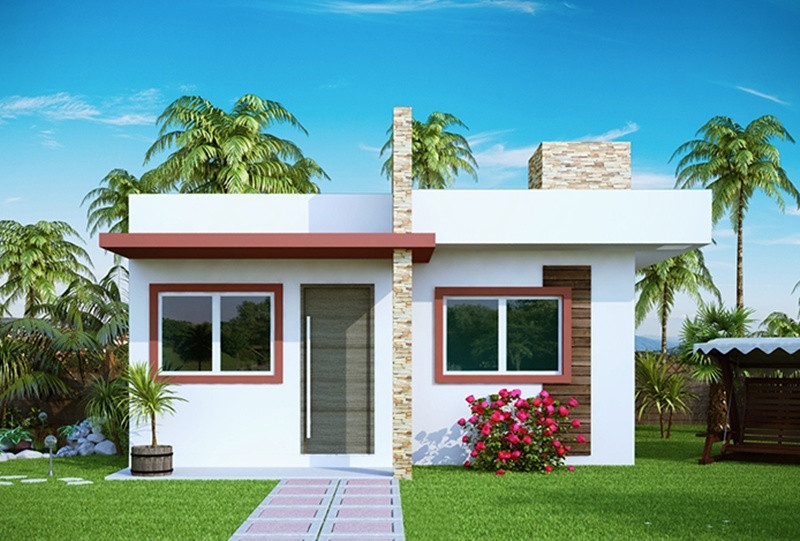 This is the best option for small families because it has a two bedroom, two bathrooms and a garage. If you have a family with four-member, this house plan is the best for you. 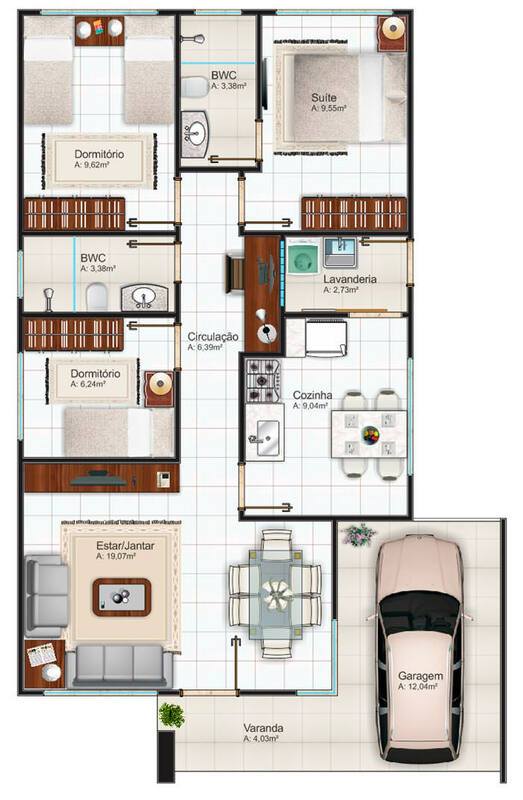 It has two bedrooms and bathroom located between the rooms to facilitate access and comfort. The living and dining rooms are connected and with easy access to the kitchen. 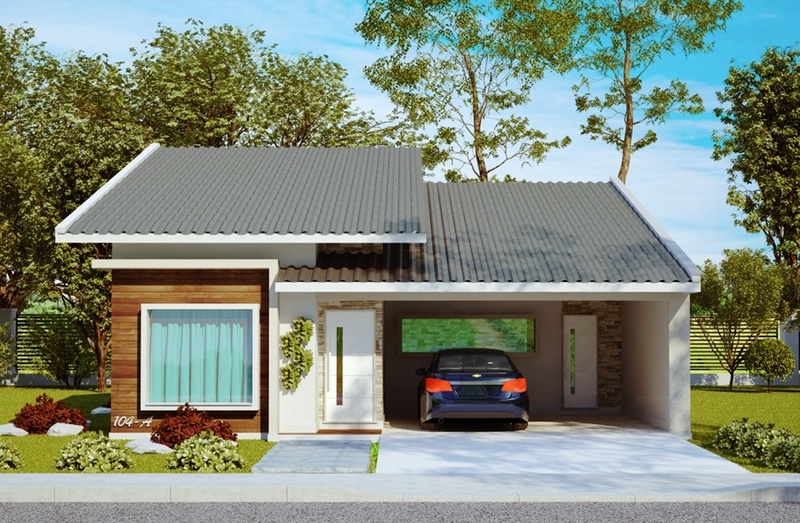 This house plan is designed to be erected on a narrow lot with a minimum width of 6 meters and a minimum length of 25 meters. 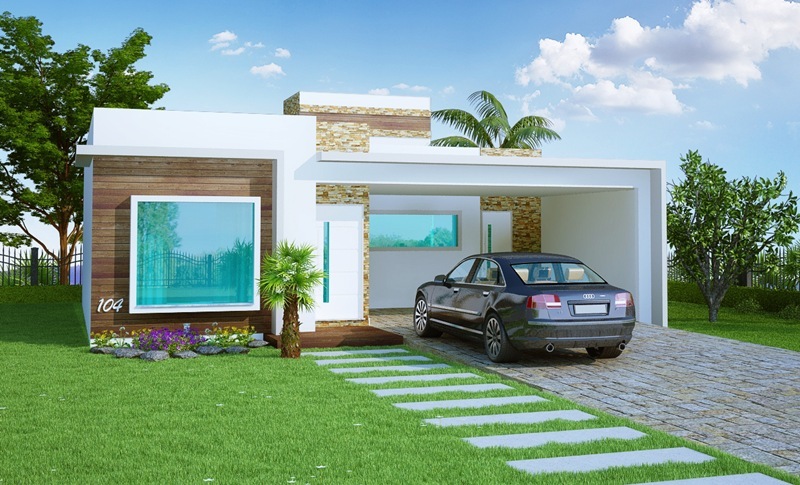 It has two bedrooms, one bathroom, kitchen and dining room, plus a garage. 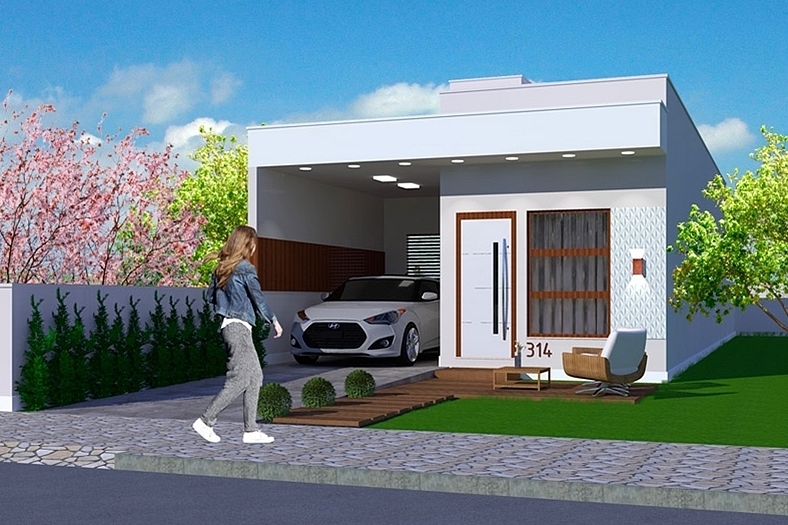 This small house has an attractive facade and easy to construct. 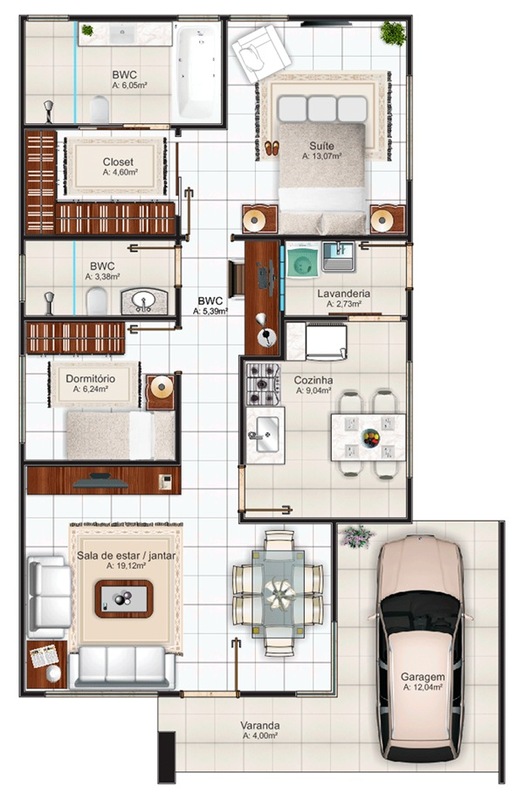 It has two bedrooms, one bathroom, kitchen and living room, good choice for small families. 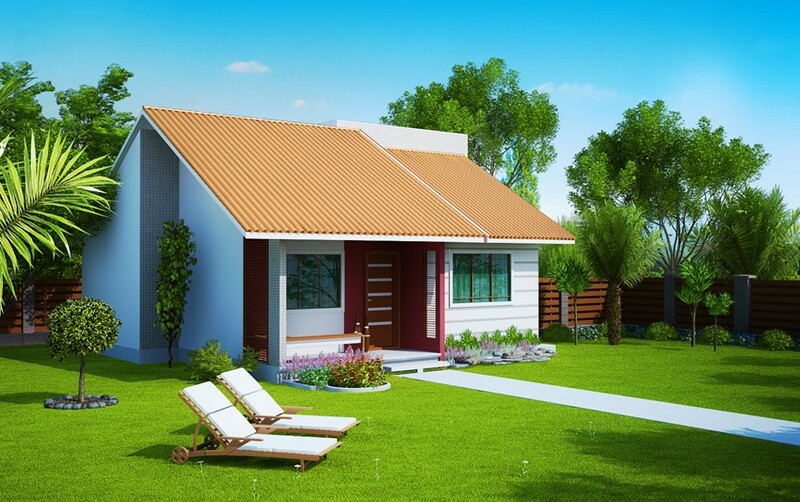 This is a beautiful one-story house, medium size, functional and comfortable for family members. It has a parking for two cars. Inside, it has one master bedroom, two bedrooms, one bathroom and laundry room. It has a social area too for kitchen, dining and living room. 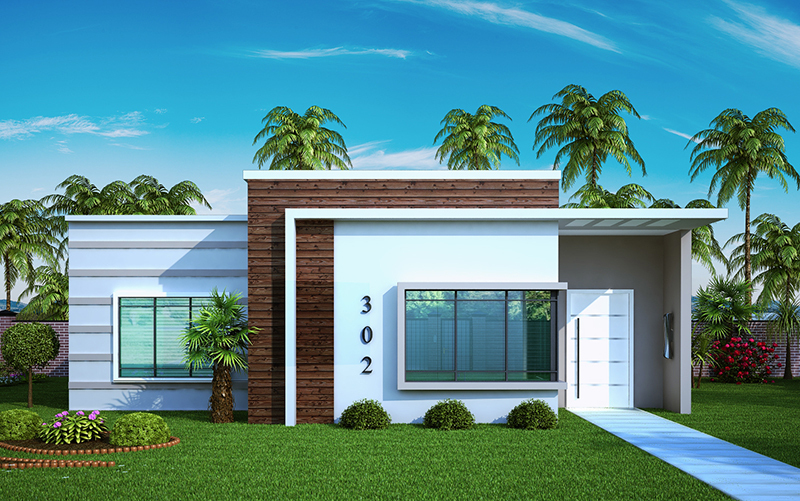 It is a modern house plan with sophisticated style. If you are a couple with two children, this plan is perfect for you. Inside, it has a kitchen with a living room, laundry room, and front balcony. 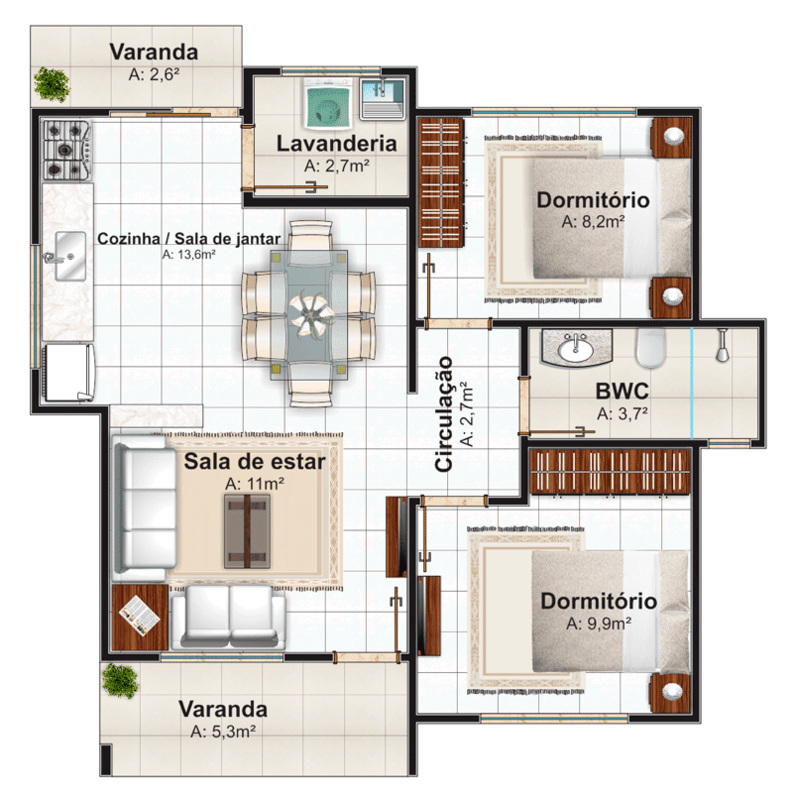 The house plan has a one suite room, another bedroom, and bathroom. 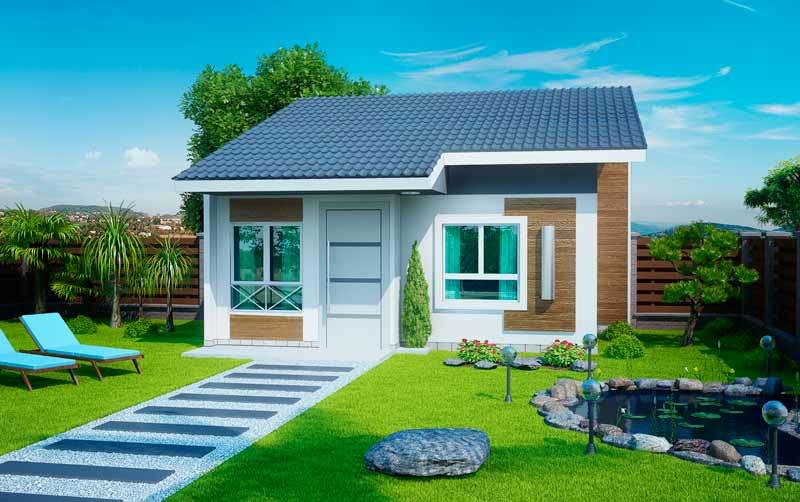 This small house can be erected in a lot with a total area of 69 square meters. 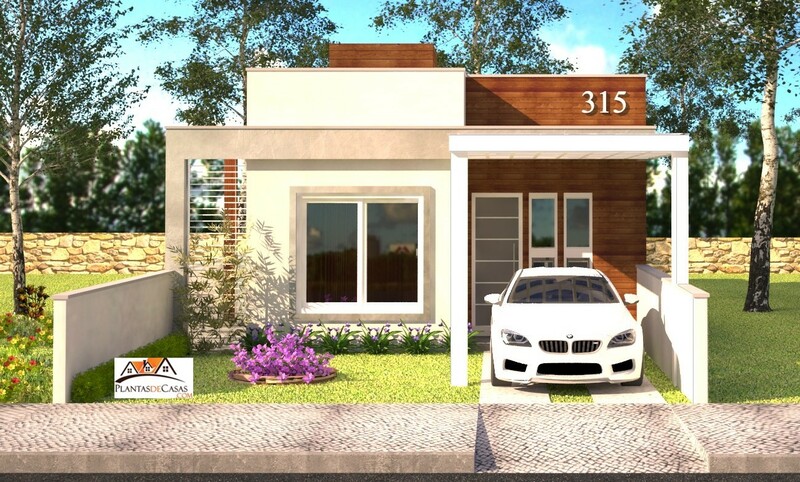 This house model is suitable for a family of four to five people. This room has a master bedroom and two other bedrooms. It has a small bench for mini office or study site. The kitchen has access to the laundry room and with easy access to dining room and living room. The balcony protects the main entrance and the garage with a parking space. 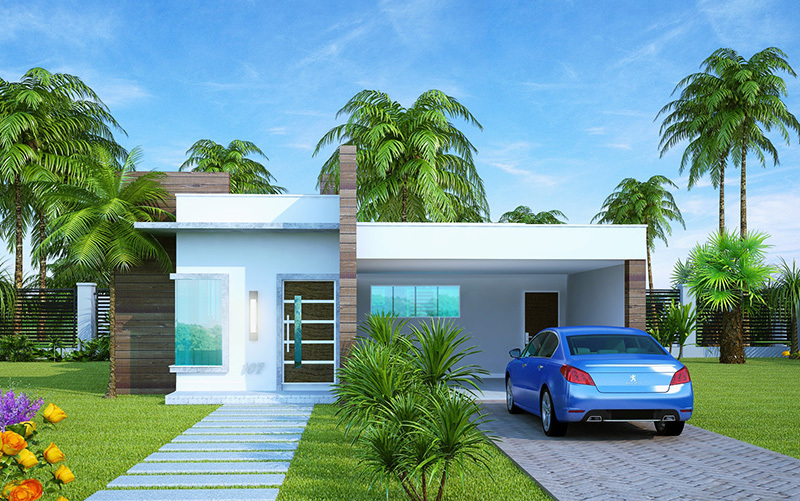 The main characteristic of this design is the modern facade. In the interior, it has a dining room with a sliding door to access the side of the garden. The kitchen has access to the service area and external access. The garage also has access to the backyard. 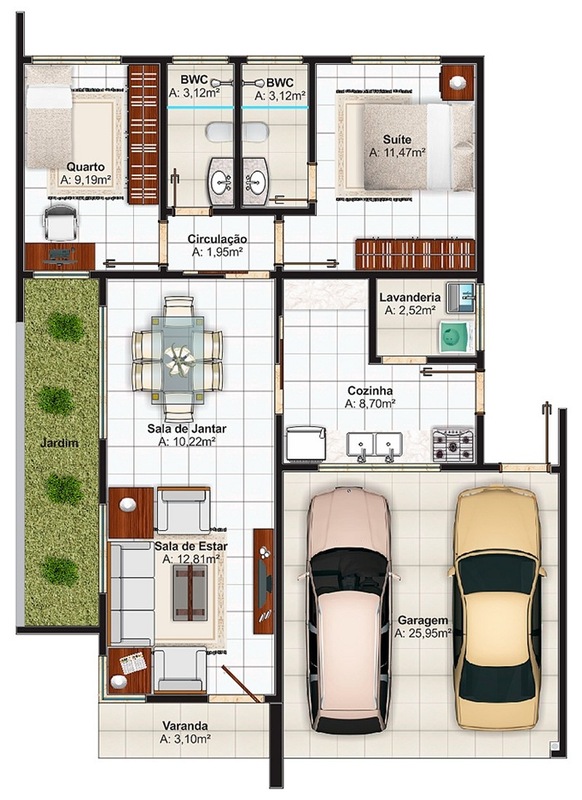 This plan is for a family with a member up to four people. The project has a social area composed of a living room integrated to the dining room, kitchen, laundry, garage, and porch. 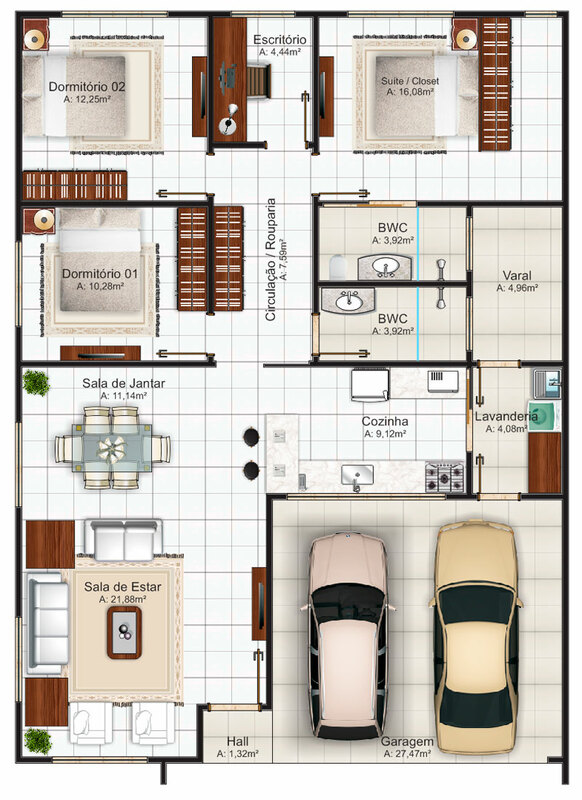 It has one master bedroom and bathroom with space for a bath, and home office. 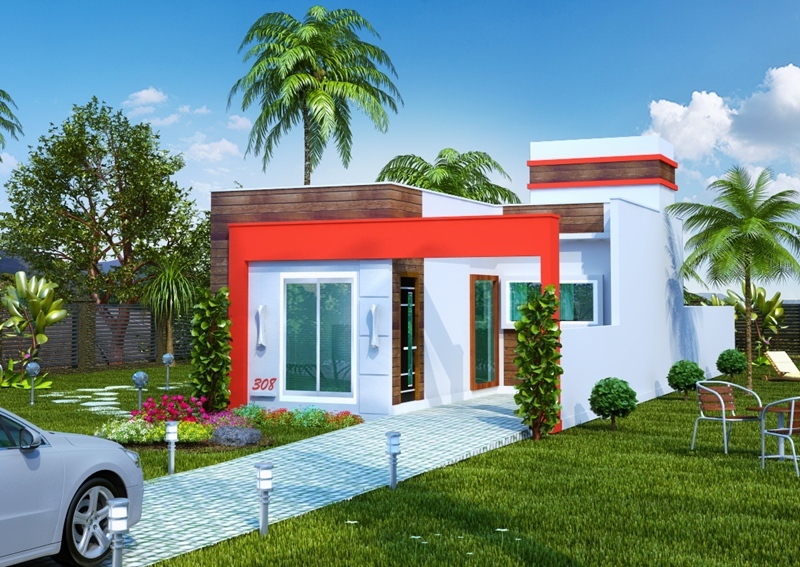 This house needs a lot with minimum dimensions of 10 x 20 meters and is a great option for those who wish to have a stylish and cozy house. A small house for narrow terrain with a maximum width of six meters from the front. 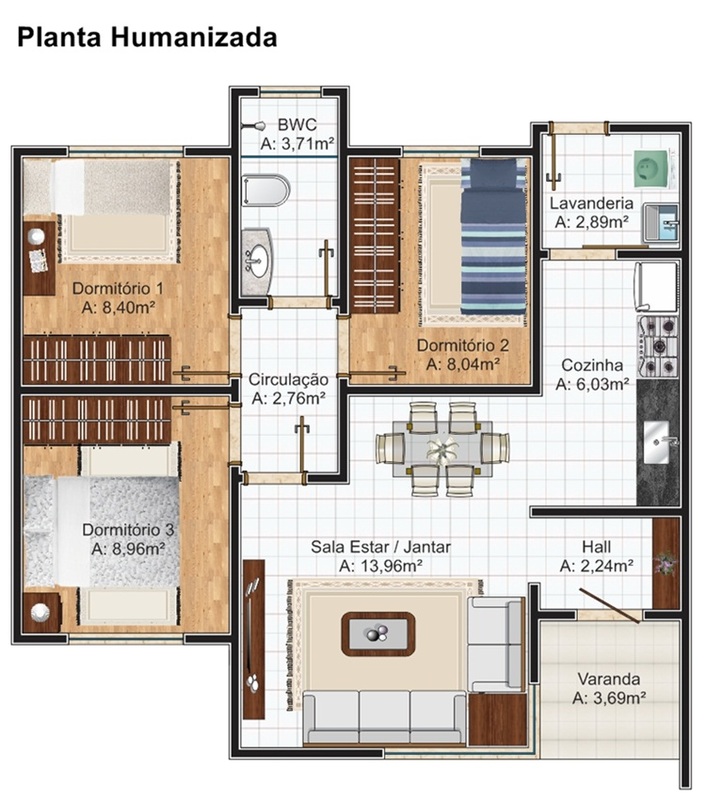 This plan will give comfort to a family of three people. The house has a two bedroom, one is a master. It has American kitchen with a dining and living room. This house plan offers functionality, comfort, and beauty in a single project. The layout includes parking space for two cars. Inside, it has integrated kitchen to the dining room and living room. 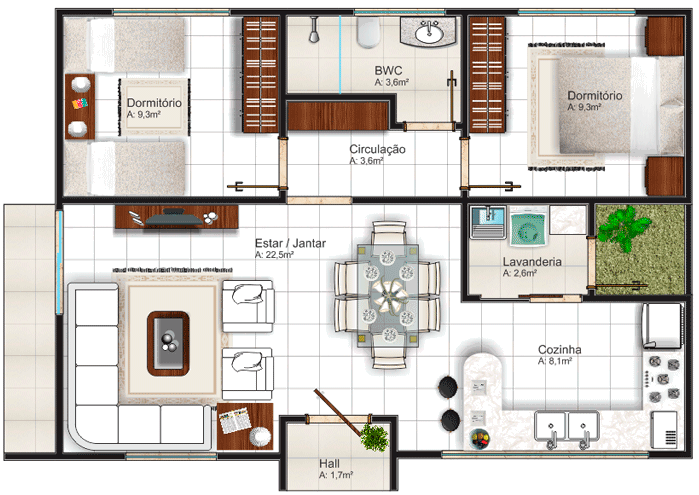 It has two bedroom and one master bedrooms to give comfort for up to five members of the family. 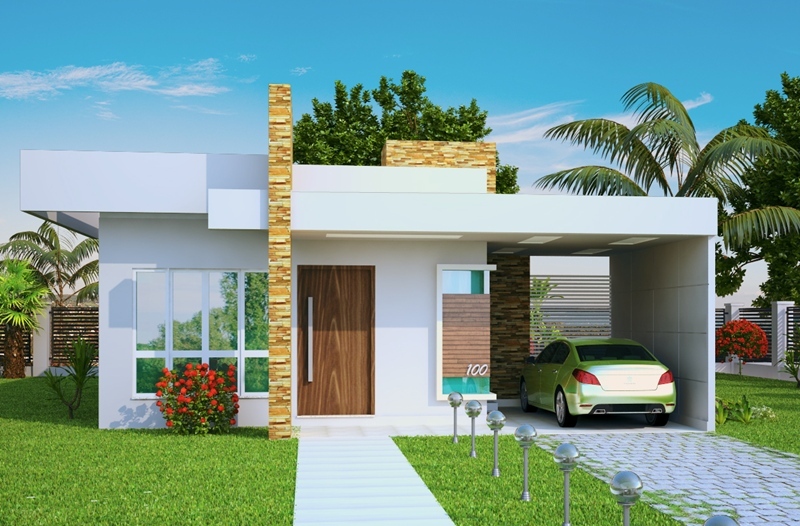 You need at least 12 x 22 meters lot for this project. 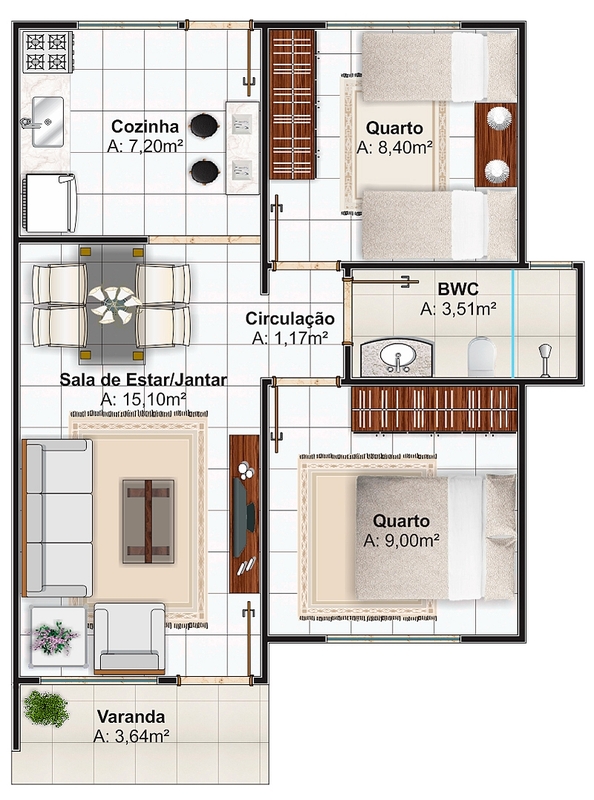 A single story house of 66 square meters. It presents an American kitchen integrated to the dining room, a laundry and two balconies, one in the front facade and another in the rear facade. The bathroom caters two bathrooms with easy access. 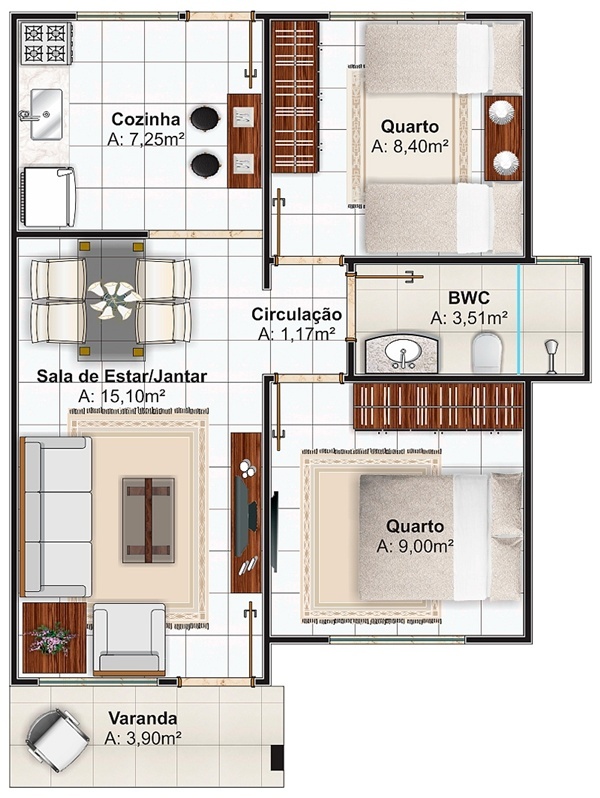 This design is the best choice for a family of four people. 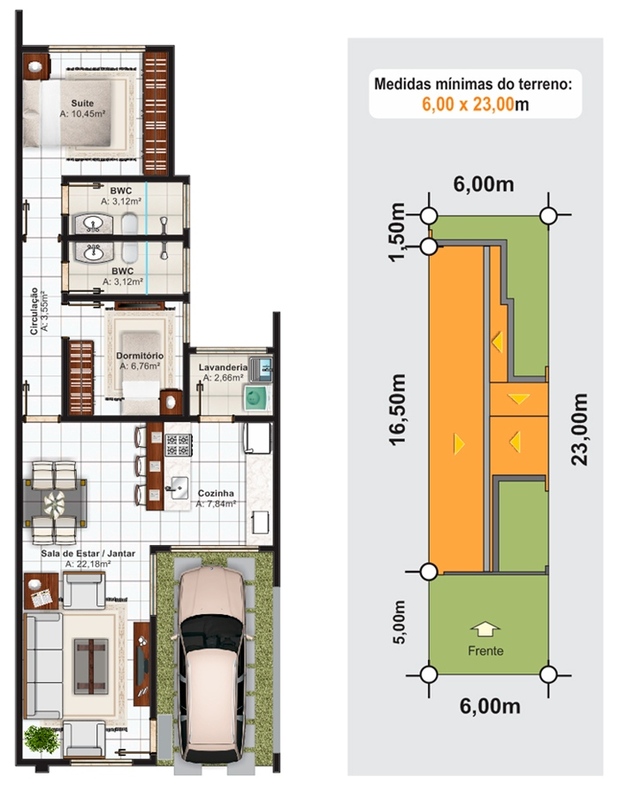 A small house that can be erected to 67 square meter floor area. This is a modern style that caters the need of a family of up to three people. It has two bedrooms and a bathroom. 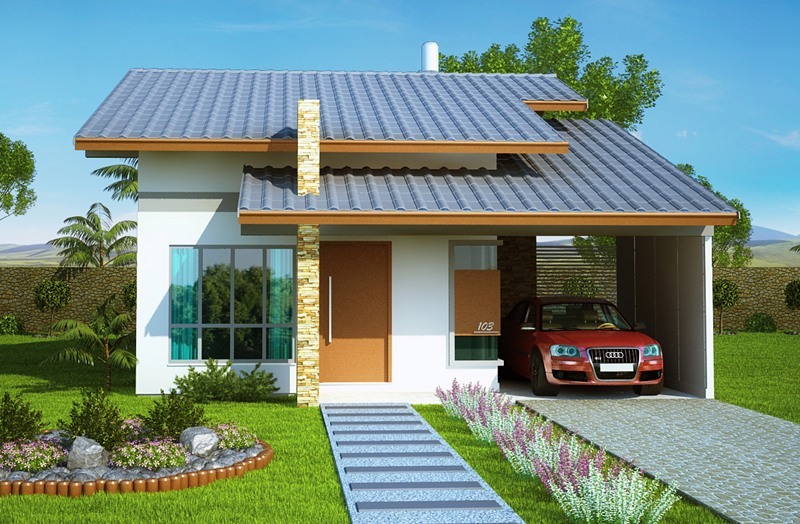 This plan comes with American-style kitchen paired with dining and living room. A small but modern house with an area of 67sqm good for a family with four members. 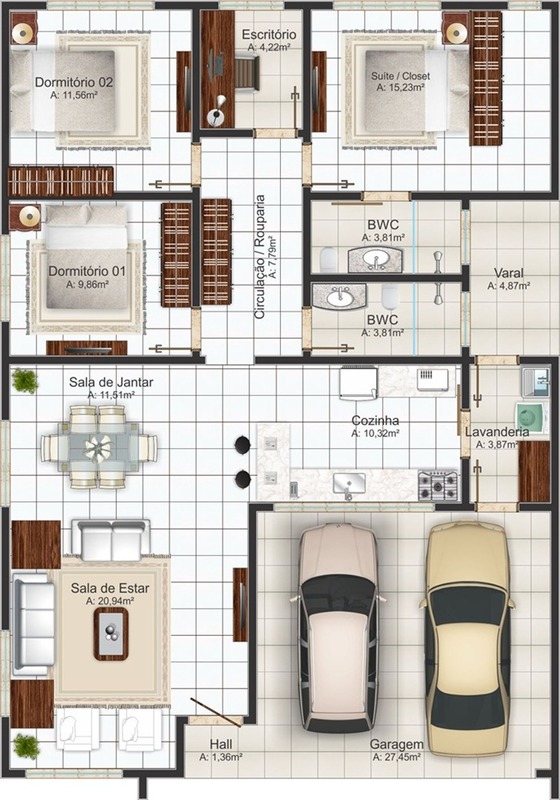 It has an entrance hall, living room and dining room with kitchen and service area. 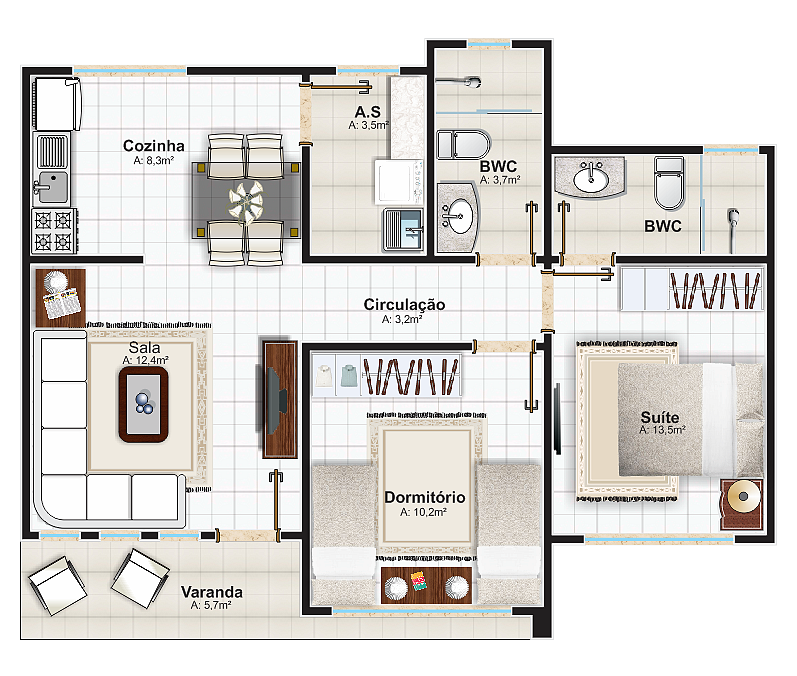 Also, it has two bedrooms and one shared bathroom.